Think back in time…about 2 trips ago! Remember my trip to Glens Falls, NY? I know! It seems like eons ago, right? It was still THIS month! When a trip is winding down it’s always a mad rush to get the remaining books boxed up along with everything that won’t fit in the suitcase, and get them dropped off to be shipped home. In this case, I had one and a half boxes to ship! You can’t ship half a box without filling the empty space with SOMETHING because it’s not good for books to rattle in an empty box – the box can get crushed and books can get damaged..so I stuffed the box! I stuffed the box with anything soft that I wasn’t going to need ---a pair of jeans, my empty canvas tote bag, some rulers and other class supplies – and THESE! These sweet little basket blocks were the “Block of the Month” for the Wings Falls Quilters Guild during my visit – they chose one of my Addicted to Scraps column blocks, encouraging everyone to participate in making the scrappy 6” baskets.These are found in the March/April 2011 issue Here. And then the biggie – they had a batch of blocks especiialy for ME TOO! Color me excited! So my life went like this --- ship the books home, forget there is other stuff in the boxes and when the boxes arrive, I’m already gone to the NEXT location, and they get stacked with the OTHER boxes until….LAST NIGHT! It was a happy reunion, and I can’t wait to play with these. So this is how I deal with an odd selection of blocks that “Don’t Seem To Match” There are several that are scrappy bright and EVERYTHING, and quite a few that are VERY Civil War. It’s the NOT ONE ODDBALL rule. If there are only a FEW that are bright, or different…that means I need to make MORE of those to balance out the mix. To give it MORE of an EVERYTHING flavor – and that is what I plan to do, or else I’d end up having to separate categories, and I don’t want to do that. I want them all included together, because that’s how they were gifted to me. This morning I’m doing something different! Instead of meeting up with friends for LUNCH or DINNER….we are meeting downtown Winston Salem for BRUNCH at 10:30-- At a new place I’ve never been to! We’ll be discussing details for our upcoming Collaboration Celebration, and you can bet we are going to have a good time planning how to make this THE BEST TIME for you! You ARE coming, Aren’t You? Click HERE for more info! I also talked to the fix-it shop – the Blue Morse is all rewired and ready to be picked up! So that’s on the agenda too today. Quipped by Bonnie K. Hunter at 7:06 AM 14 Snips & Comments by others! 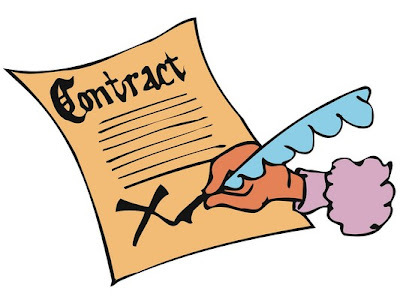 Contract --- Signed, Sealed & Delivered! Well – SCANNED & Delivered that is! This has been one swimming day – I can’t seem to concentrate on anything ---Flit Flit Flit Flit Flit from one thing to another with nowhere to really land, it seems. But the best part of today is ---I have signed my contract for my next book release with a release date of April, 2014! Is it any wonder I had to ask myself who was the Ding-Dong who made a whole POT of tea -- and forgot about it, leaving it on the kitchen counter untouched to get cold? Oh yeah..that would be me...Attention Deficit Quilting Disorder strikes again!! There is much celebration going on in Quiltville tonight --- with re-heated tea, of course! Quipped by Bonnie K. Hunter at 7:58 PM 37 Snips & Comments by others! When I’m quiet, it’s because I’m busy! I spent this morning ironing up a bunch of neutral shirt parts, and cranked them through my accuquilt studio into 2.5” strips. My selection of variety was way down there, and this should stock me back up for the projects I have going on behind the scenes! When you are a Scrap Quilter…a variety of backgrounds is a MUST! I am never happy when seeing just one fabric used as the background for a scrappy quilt…I NEED MORE! The ironing took the longest..the cranking them through? Nothing flat! I am charmed by her Swiss engineering, and how her take-up lever swings in an arc…see the curved slot? She’s definitely got curves where it counts, baby! My crumb strips from last night’s Quilt-Cam were the closest at hand, so I played with those, first learning how to wind a bobbin ((VERY SLICK! You don’t even have to disengage the hand wheel to stop the needle from going up and down…it already KNOWS!)) 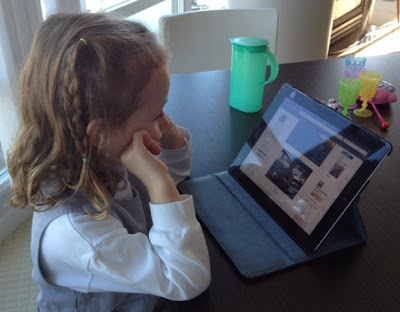 And then learning to thread the machine itself. This little girl is SO QUIET! I am really enjoying her. I haven’t tried any 1/4” seaming on her yet, but it shouldn’t be an issue once I use my seam guide ruler to find where to put my sticky guide. And I just LOVE her green color! Won’t you come play with ME instead, Mama? Time to take Sadie for a walk, and then back to some more stitching! Quipped by Bonnie K. Hunter at 3:18 PM 14 Snips & Comments by others! I was afraid to post these photos, but things are going along so swimmingly well that it looks like we will close on July 3rd. I have uploaded photos to a photo album….some from our first look early spring before leaves, and of our last visit. This should give you a good idea of why I am in love with this place! If you can’t view the slide show , click the image below to go directly to the album. The nice thing is most furnishings will be included. We can take our time replacing items with what we really want…. Sorry if you get tired of hearing about this cabin again and again and again and again....but I just can't contain myself on this dream! Today I hope to get that Elna Grasshopper out of its army green case and see about getting it up and sewing! SO FUN! Quipped by Bonnie K. Hunter at 9:21 AM 104 Snips & Comments by others! This is Mary Koval’s granddaughter, Indira and she was fascinated by Quilt-Cam the other night! She heard me talking about my grasshopper sewing machine, and thought I was talking about a real CRICKET! Mary said her eyes got big and she giggled and giggled then listened for about another 30 minutes….that’s QUITE the attention span! Let’s hope I can keep the rest of you awake tonight. I hope I can keep *MYSELF* awake for that matter! I’m in the mood for some serious crumb demolition. We all know the fabric never really goes away …the pieces just become smaller and smaller and smaller until all we are left with is a bucket of crumbs. Remember when I got my school bus featherweight back from being painted? Check this post HERE! I had resurrected this project then, and quickly buried it again once the holidays were upon us and we started redoing the basement floor. I found them today. They are back OUT again! I’ve been hard at work on some serious deadlines and I am too brain dead to want to match points or really pay attention tonight…so I’m crumbing it! If you want to join me….my papers are 2.5” X 8.5”. The papers are there for a bit of stability but mostly to give me a size to shoot for. Put your stitch length way down so the paper is easy to remove. Four strips sewn together make one block! Look what is in the center of this one! No, not that cat --- but the star..DO you see a star? I didn’t either…and that is why Papa’s Star from my first Dear Jane ended up in the orphan bin…toooo busy for such a small number. Now it will have a place in this crumby mess! 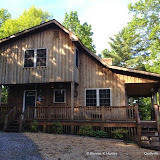 Quipped by Bonnie K. Hunter at 8:57 PM 33 Snips & Comments by others! 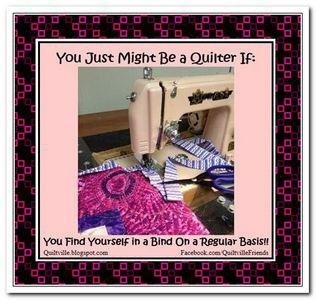 You JUST might be a Quilter if …..You find yourself in a bind on a Regular Basis! We all have our own ways to do things the way they work for us, and occasionally I come across a different method. More than one way to skin a cat, right? Mary, of the infamous Best Seam Guide Ever and the Cutest Beaded Stilletos Ever was telling me about the way she measures her binding ends to join them on the bias when she has sewn all the way around her quilt. You can find the way I do mine HERE, which is very similar, but different, if you know what I mean! TRY ALL THE WAYS there are to do anything…you just may find a way that fits you better than any other! The blue end is the binding beginning..and the pink end is the binding END you are joining! 1. Square off both ends. edges align and it makes a sharp point. Press. 3. Open the fold and draw a line along the fold line. Refold. 4. Press the entire length of the binding in half lengthwise. 5. Beginning with the 45 deg. fold end, apply binding leaving 6-8 inches free at the beginning end. Continue to sew the binding to the quilt as you normally would until you are 12-15 inches from where you began stitching. Now it is time to join the ends with no measuring. 6. Overlap the straight end (pink) over the 45 deg end (blue). Pull slightly on both ends so they are snug, not loose. 7. Fold excess pink binding back so it is even with the edge of the blue binding. Finger press the fold. 8. Cut the pink binding on the fold. 10. Carefully, open the pink binding keeping the left edges even with the blue edges. 11. The blue and pink ends will be perpendicular to each other. Turn over so the blue binding with the drawn line is facing up. Pin across the line at the beginning. 12. Stitch on the line. Trim to 1/4 inch. Finger press the seam open. 15. Fold the binding in half, and you can now sew it to the quilt. Click HERE for a printer friendly PDF of Mary’s method of joining binding ends! Remember…Quilt Cam – 9PM Eastern tonight! That’s in 3 hours from now…get that project ready! Quipped by Bonnie K. Hunter at 6:16 PM 5 Snips & Comments by others! Lookie lookie lookie what came in my mail yesterday! It’s the July/August issue of Quiltmaker Magazine!This means that Part THREE of the Lazy Sunday mystery is nearly at your door step…and things are starting to come together! I really had a great time working with these colors….yes, some of the colors were from the left overs of my Easy Street, but that wasn’t all that I threw in there. I was inspired by fabrics and colors that had come home from Bali with me just last August ---bright beautiful color, and I loved how happy these fresh colors made me feel. Orange and hot pink and lime green and turquoise….and let’s throw in some purple for good measure! These are all colors that strike a chord in my memory of our batiking expedition. If you have not kept up with the mystery so far..it’s not too late! Previous issues are still available..you CAN catch up because it will be 2 months before the last installment comes out. You can even get your copies digitally HERE. Where is this going and why does one star have a green corner?! Also included in this issue: My Addicted to Scraps column! Perfect for summer! This is Berry Bushel! This is just what I envisioned...isn't it fun how the blocks come together to create a positive/negative design? This one would look great with cornerstones and sashings too because the cornerstones would connect the chains through the blocks. That’s not all you will find in this issue! Quiltmaker is PACKED with gorgeous quilts, and directions are provided to help you create these from start to finish, including color options and quilting designs. Goodies found in this issue! One for ME – and One for THEE!! I’ve got an extra copy for a lucky winner! Please leave a comment on this post, or in the guestbook in the left hand side column for a chance to win this issue! PLEASE remember to leave your email address. Not all those who comment have been leaving email addresses. Be sure your email is linked to your blogger/google profile or if not, please leave your email. I have had to pass up winners in the past because there was no way to contact them. We will draw for the winner on Sunday, June 2nd and this issue will be on its way to one lucky winner! I leave for Ireland on June 4th! Oh GOODNESS! Quilt Cam tonight? Who’s game? I’m not even sure WHAT I’ll be working on tonight….maybe some simple string piecing at the treadle! Quipped by Bonnie K. Hunter at 8:22 AM 312 Snips & Comments by others! Last week I was the key note speaker at the spring banquet for the Prairie Star Quilters of St. Charles, Illinois. What a great group of ladies! Such talented quilters, such giving, loving and sharing women. You know, you can feel it…when you sit back and watch the dynamics of people within a group. You get a feeling for how involved they are with each other, and how they support and lift one another. Some groups gel, and some groups don’t – I’m sure you’ve felt it too with places you’ve visited and groups you’ve belonged to. Within the guild are several bees or sewing circles. Before my lecture even started they about brought me to tears with the presentation of a very special quilt JUST.FOR.ME. And then it lists the members who worked on this quilt, which was longarm quilted by Cindy Krelle --who did a beautiful job! Photo on my deck here! Fabulous colors and so much variety! I was seriously finding it hard to not bawl in front of a banquet room with 225+ quilters in attendance! As I unpack things – I am thinking this needs a place of honor in my new cabin. I’ve got railings it can hang from! I’ve got walls to embellish to make the place my own – and these ladies can be here with me in spirit! If you like the block pattern, Antique Tile was found in my Addicted to Scraps column in the September/October 2011 issue. Thank you, Scrap Hunters Bee for your open heart and giving spirit! Quipped by Bonnie K. Hunter at 4:25 PM 33 Snips & Comments by others! While in St Charles, Illinois last week I was talking to Susan about special quilts, as quilters always do and she started telling me about a very special quilt her grandmother had started appliqueing for her back in the 1950s, using many of the fabrics from Susan’s own clothing. All of the scenes, she said, were depicted from the book Little Women, by Louisa May Alcott. When she asked if she should bring the quilt in for show and share the next day, I of course said YES! Who wouldn’t want to see that! The story goes on that her grandmother put the blocks away and didn’t join them until later in her life, perhaps in the 1970s, some 20 years later. She quilted them quilt-as-you-go style, joining each quilted block to the next with very fine hand stitching. I had to take photos of each scene, they are so precious! Marion Cheever Whiteside designed and sold through her company, Story Book Quilts, about 50 different designs for applique during the 1940s and 1950s. The applique designs were available as patterns, kits, and completed quilts. The appearance of the “Little Women” design coincided with the 1949 release of one of several film versions of this story, which may have boosted the quilt’s popularity. As found in Massachusetts Quilts. The most famous heart wrenching scene of all….losing a sister. I love the little bit of lace under the skirt! Forever and Always..and let’s have cake! Look at the embroidered snood! Precious! Is that money in her hand?! Thank you, Susan for sharing such a treasure! Your grandmother was quite the lady! It’s another Desk Day for me. Book orders out after a long holiday weekend…calendar to update and inbox to clear out with a gazillion things to reply to. I’m thinking TOMORROW night for Quilt Cam – that will work for me! Look for me Wednesday May 29 at 9pm Eastern! And it’s time to start pulling things together for Ireland!! I leave June 4th! Quipped by Bonnie K. Hunter at 10:07 AM 23 Snips & Comments by others! EQ FRUSTRATIONS! Calling all EQ Warriors! Retreat with the Cranky Treadlers! A View from the Studio! Show & Share from St Charles, IL! Down to the Borders & Beyond! A Day at The Quilt Merchant! Scrappy Mountain Majesties in St Charles, IL! iPhone-o-Gram: Scrappy Mountain Majesty Day! Pineapple Blossom Girls in St Charles, IL! iPhone-o-Gram! Pineapple Blossoms in St Charles!! Jamestown Landing, All Day Long! Showing & Sharing in Ottawa! Evening Adventures in Hotel Room Stitching! iPhone-o-Gram! Jared Goes To Ottawa! My Blue Heaven All Day Long! iPhone-o-Gram! My Blue Heaven Day! Off to Ottawa….And St. Charles! Glens Falls, NY ---Hometown, USA! Glens Falls Show & Share! What’s at the End of YOUR Rainbow?! Charlotte’s Baskets in Glens Falls! A View Through the Windshield…ALBANY! Join Me for The Bavarian Christmas Markets! Show & Share from Maine! Smith Mountain Morning, Augusta, ME! iPhone-o-Gram!! Stringing Along in Maine! 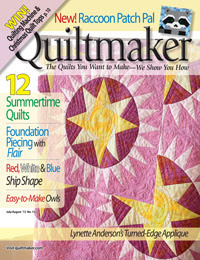 Quiltmaker Magazine’s 100 Blocks VOLUME 7!! Iphone-o-Gram! Views from Portland Harbor! Show and Share…while I’m In The Air!